Hi friends, it’s Michaela! 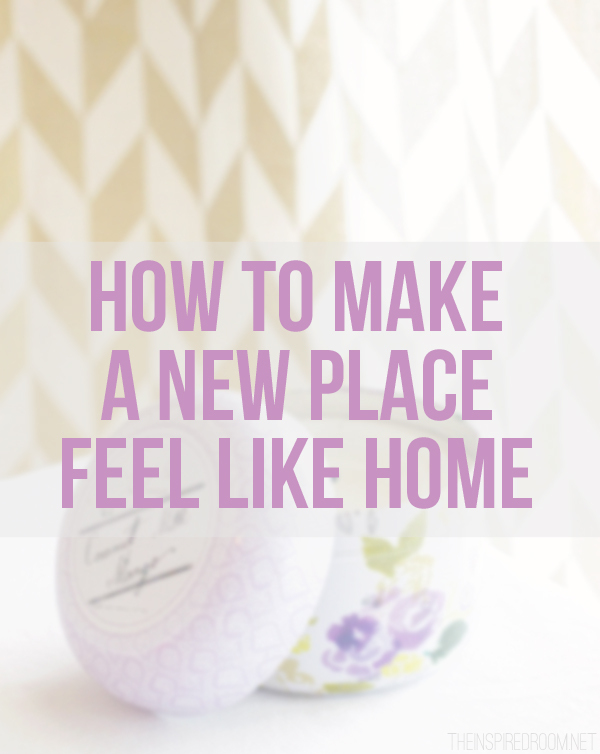 I’m back today to share some tips on how to make a new house or apartment feel like home quickly after you’ve moved in. If you’re wondering where I’ve been the last few months, I’ve been doing just that! In May, I moved across the country from California to Michigan for my handsome boyfriend. Ever since then, it’s been a whirlwind of moving in to my first VERY own apartment, decorating, and trying to settle into a new state (that comes complete with a crazy climate change, too!) and make the place feel like home. As a designer, I always suggest my clients buy things in stages, so that the pieces look lived in and collected. 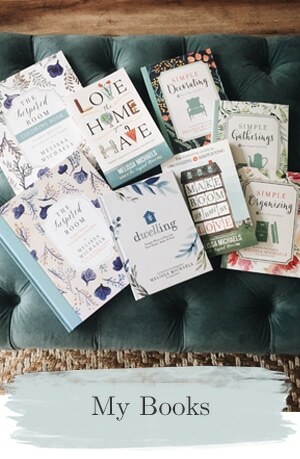 We never want our home to look like it all came from one store, you just bought a set, or decorated in a rush. Once I moved into my own place, my own suggestions were put to the test, as the urge is definitely to just get everything furnished right away. I came in with only dishes, a bed, and bedding, so I needed everything! A couch. Dining table. Chairs. Desk. Patio furniture. A new chandelier to replace my apartment’s awfully dated chandelier. Ah! I was overwhelmed and I hadn’t even been there for more than a few days. I needed to calm down, look at the big picture, and do a few things to make my apartment feel like home even though it was far from complete. Have you ever been in this situation? I’m here with some tips for you today! 1. Complete the bathroom first. It’s small and manageable, so once it’s complete you’ll feel accomplished. 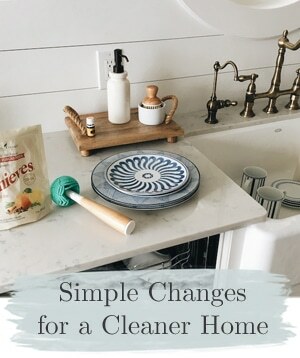 I don’t know about you, but when my bathroom (the place I get ready in the morning) is a mess and out of sorts, I feel so unorganized. This totally helped my morning routine run smoothly. I went to Target to pick out some towels and floor mat, got some cute soaps, a tray, and a vintage storage cabinet to hold my extra towels for guests. Ah, sigh of relief to have that all done! 2. Pick up a few candles. I know I share a love for the Anthropologie candles with Melissa and her daughters :) I grabbed two candles from Anthro and lit them every time I was home. This took away the vacant smell of newly painted walls and a new apartment that you’re not used to, and made it smell more inviting. Scents have a powerful way of making us feel more at “home”. I don’t have to say much here, because I’m sure we’re all on the same page with blooms. 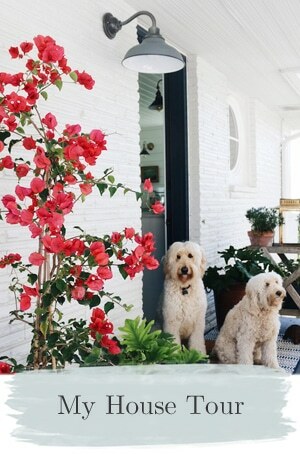 They really do cheer up your home! 4. Get your bedding, sheets, and pillows. If you’re sleeping in bedding you love, chances are you will get better rest. I may have just made that up, but I think it’s true :) When I moved in, I did have my bedding, and knowing that I could fall asleep in pretty, soft bedding at the end of a long day of unpacking and organizing, really aided me in feeling more at home. 5. Cleaning supplies & a tool kit. You never know when you’ll need either of these things, and it’s always nice to have them on hand already! Even if you don’t have huge pieces of the room decorated, it just may make you feel better if you have a few of your favorite accessories placed into vignettes around your home. This will make you feel like little corners of your home are completed. 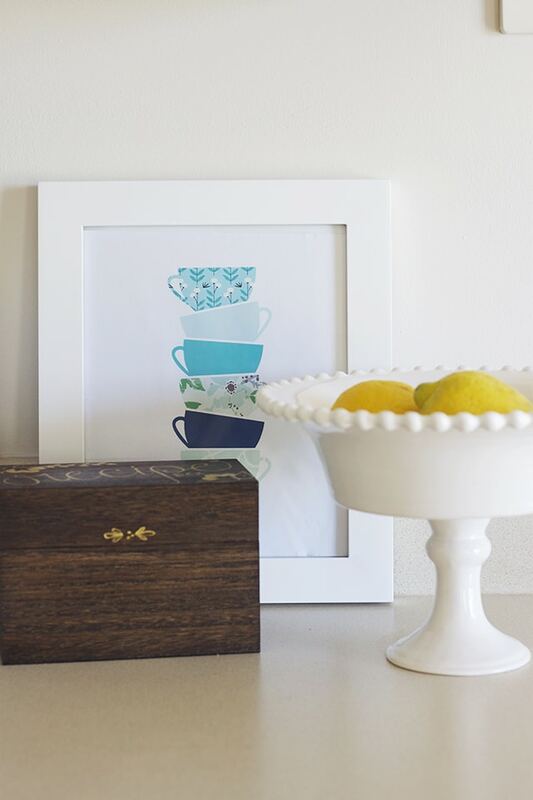 I love this sweet teacup print and recipe box in my kitchen. 7. Quotes & verses to inspire. I always have a verse or quote on my chalkboard to keep me encouraged throughout the week! If you recently moved, what are some tips you have to feel more at home while in the process of moving and decorating? Thanks Michaela! 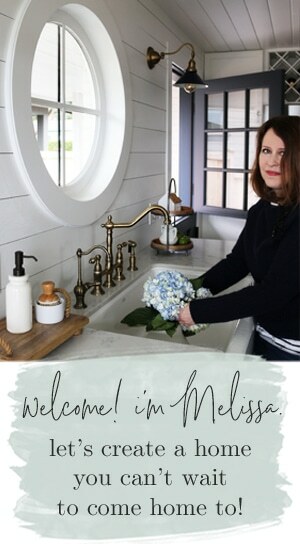 One other note…for anyone who is in the Michigan area, or is interested in traveling there, Michaela and her friend Ashley are hosting a Bloom Workshop on September 18th! Bloom The Workshop is for creative women who want to learn about blogging, photography, interior design and styling. Here’s a cute video about the event! 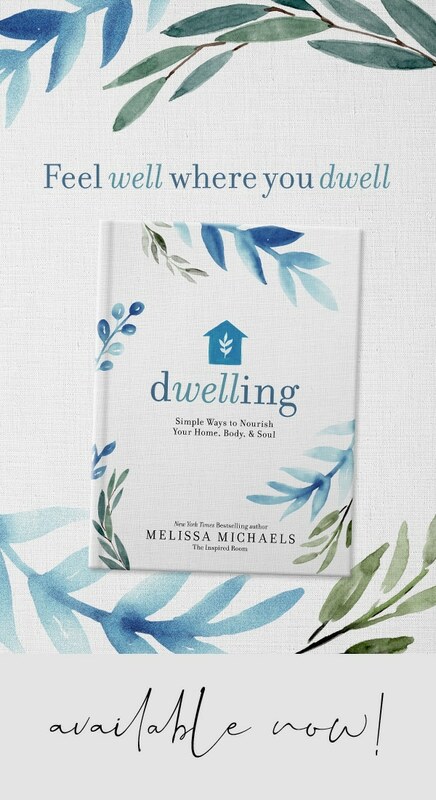 Want more ideas for being happier at home? 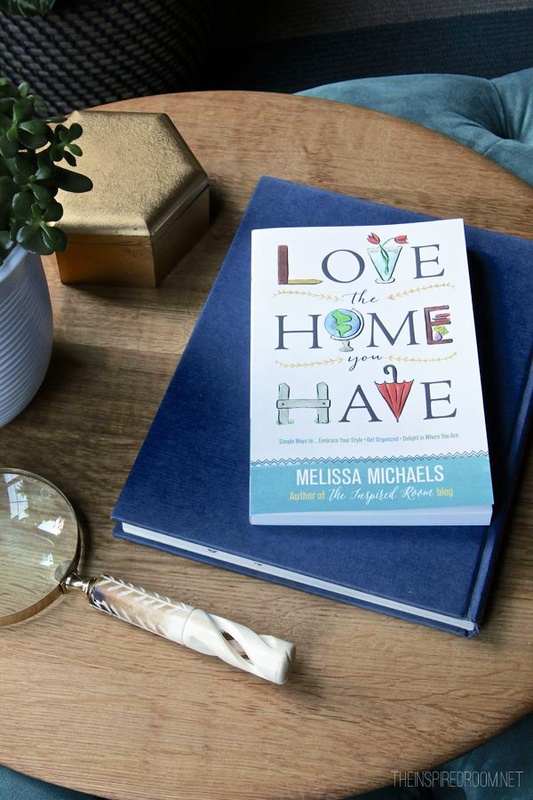 Check out my new book, Love the Home You Have! Thank you for this encouraging article. My husband and I just moved into his parents home to assist them through Alzheimer’s. We are try to make the basement our new home and I have needed some encouragement. Thanks!!! 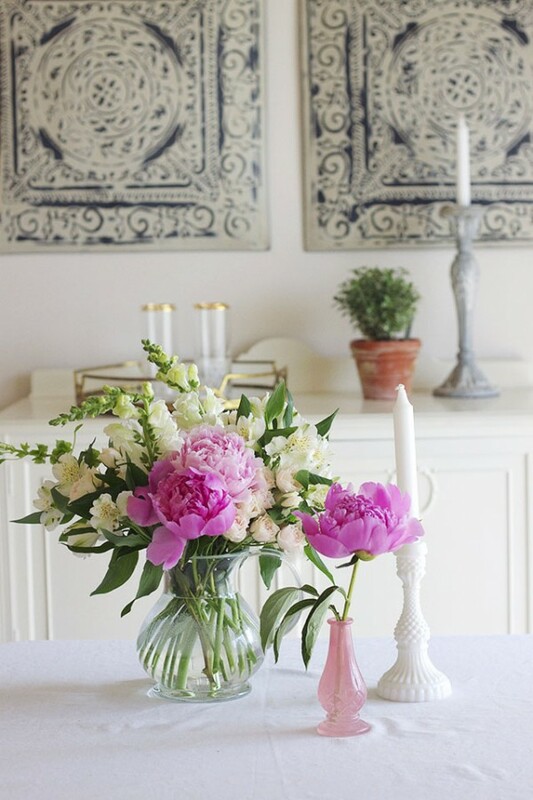 fresh flowers are my #1 luxury in my house that i love to keep around and make it look cheery! glad i found this blog and can’t wait to search thru it for new ideas! As soon as possible I get the moving boxes out of my main living area. A spare bedroom, garage or corner work good. Otherwise it is a constant reminder that I an unsettled. I haven’t moved for many years, but my daughter (and other family members) have. My advice is always to make the bedroom livable – and when I help someone move, I always make sure their beds are made as soon as possible. After a hard days work it is nice to fall into a welcoming bed! Thanks for having me! So fun to share what has worked for me. I love the tip above about getting boxes out of the main living area quickly! I totally agree with Anne. 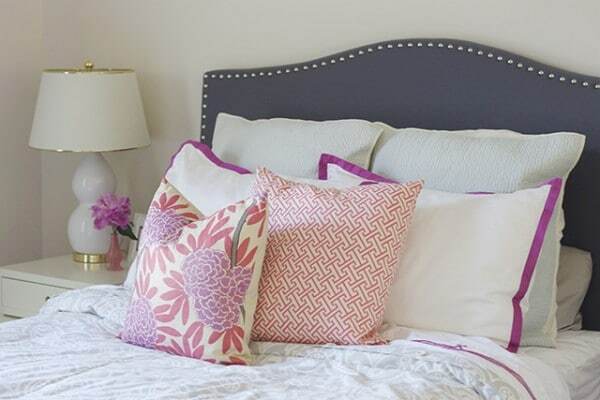 The bedroom is one of the most important rooms in your home. It should be as inviting, as possible and you should be able to relax and not distract yourself with TV or anything else which will require your full attention. My bedroom has dimmable switches, no TV to distract me…And the bed…Well, let’s say it’s one of my most expensive investments, but it surely is the best . Putting out the family photos also helps make a new place feel like home. Just one more idea to add to an already great list on this post! Good points! 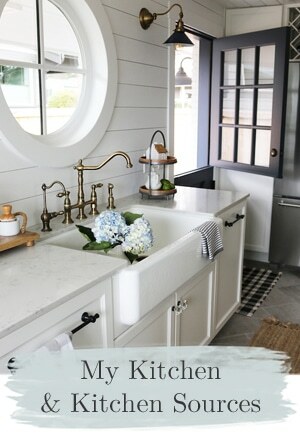 Only, as someone else commented, my tendency would be to set up the kitchen first. :-) It’s the heart of our home and the place where we hang out most. We just recently moved and for us, making our house a home has become about making each of our (5) kids feel like they have a space of their own, but also incorporating our own design and taste so that the rooms are stylish… but also functional. I love this! And I’m realizing that I did the majority of those things and it really DOES make a stark, new house feel like a home. 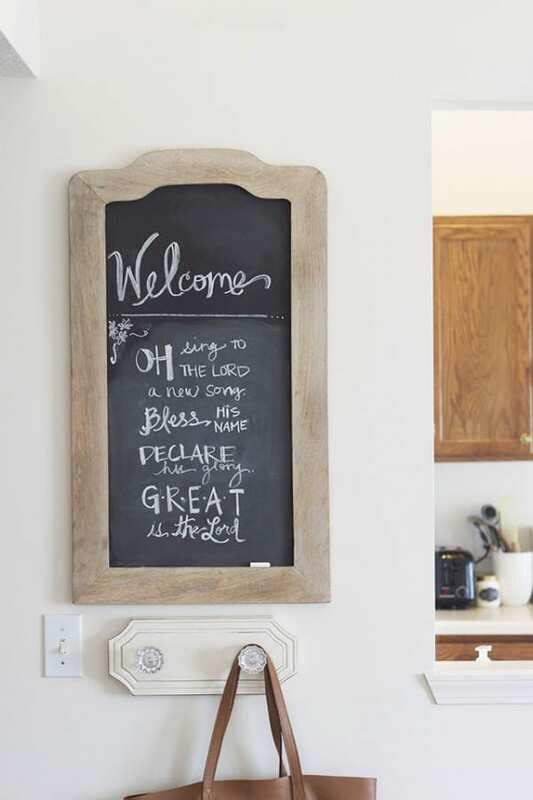 That Bible verse in the frame and chalkboard quote are just beautiful. Thank you, perfect advice for me right now. Just sold our Catheys Valley home….and looking for the next. 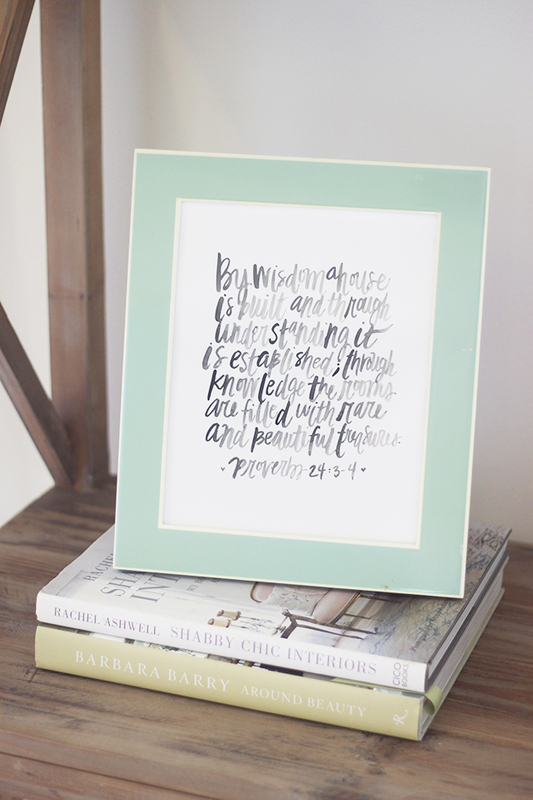 Was the framed Proverbs quotation handwritten or bought somewhere? Focus on setting up the kitchen and dining areas first! We moved just 2 weeks ago, and for several days I felt so lost as I fed my family fast food on paper plates. Being able to find everything to make a home-cooked meal for my family and serve it on real plates at the dining table made our new house feel like home! We’re in the midst of moving from our rental into our new-to-us home. Our first task has been to remove all the old carpet and tile. We’re replacing it with engineered hardwoods. I’m so anxious to unpack so many things that have been in boxes for the last year! I love the tip on setting up some vignettes. That is going to be the perfect place for me to start. We, too, have a long list of new furniture and things we want to buy. Not to mention projects to tackle! Thanks for the great tips! This is very helpful information for some moving to a new place.